Jane, a young, insecure and unliberated Australian, goes too far in overlooking her English husband Tom's blatantly philandering ways and his obsession with rating women's legs: based on a scale of 100, he never awards less than 70, because legs like that would be beneath conside... read full description below. Here is a remarkable novel with superb characterization, wonderful atmosphere, and a story that will resonate with readers long after they have finished it. 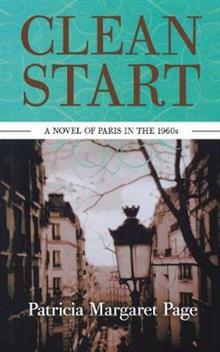 Set in Paris in the early 1960s, where the vestiges of its storied Bohemian past still barely cling. It is a time when the new wave of feminism has not yet taken hold, when men proudly flaunted their manhood like a banner, and worse yet, are often indulged by their women. Jane, a young, insecure and unliberated Australian, goes too far in overlooking her English husband Tom's blatantly philandering ways and his obsession with rating women's legs: based on a scale of 100, he never awards less than 70, because legs like that would be beneath consideration, nor more than 90, because that would be too near perfection. One cold winter night in a cafe, a stunning woman sits down opposite the couple and reveals legs that immediately win Tom's highest score. It turns out the stranger, Sally, is Australian, lonely and adrift. Jane invites her home to their dilapidated artist's studio in Montparnasse where they discover how much of an outsider Sally really is. A bizarre relationship develops among the three. This is a gender-bending novel, filled with comic moments, which deals with problems of sexuality, married love, creativity, identity, and self-determination. Jane and Tom's world is upended by Sally, and by turns the story is funny and sad. It shows the bittersweet quality of Jane and Tom's relationship, a strong nostalgic picture of a Paris now vanished, and the misadventures of Sally, an extraordinary character who leads a hedonistic and transitory lifestyle. The story is by turns enthralling, involved, and delightful. Patricia Margaret Page was born in Brisbane, Australia and moved to the South Pacific where her family had copra plantations. She was educated at boarding school and university in Sydney. After graduating she travelled to Europe and while working in London visited Paris for the weekend, refused to go back on the Monday and is still there. Soon after her arrival she met and married Alan Page, an English sportswriter. They have two daughters. In 1999 Allen&Unwin, Australia, published Clean Start, her novel of Paris in the 60s. Academy Chicago Publishers brought it out in hardback in 2002 and then in paperback in 2009. Kirkus Reviews praised the strength of its characters and her description of the city as an artists' wonderland. In 2004 Pandanus Books, Australian National University, published Across the Magic Line her story of travelling back to the enchanting islands of Fiji and recapturing memories of her British colonial childhood. The Sydney Morning Herald and The Australian Book Review were enthusiastic, calling it an enthralling book for those who wanted to know more about the Fiji Islands.